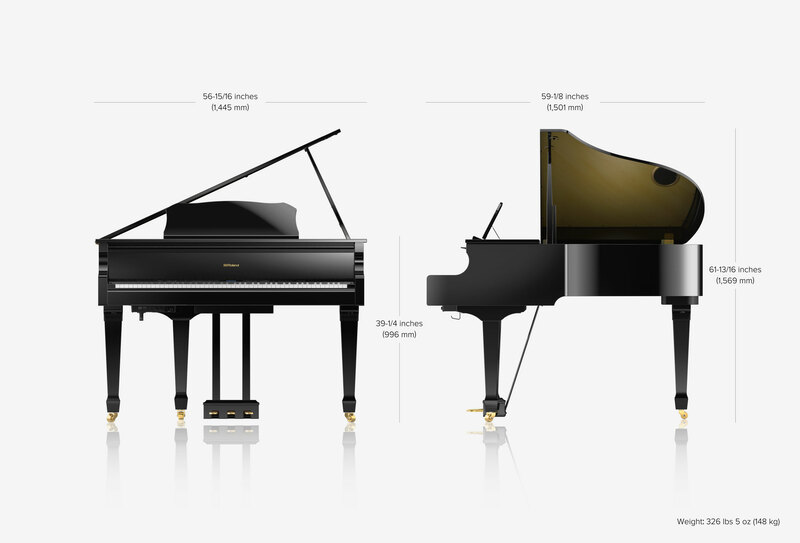 The GP609 is a grand piano without compromise. Experience the performance of an acoustic grand, whose sound has been at the heart of music for over 300 years and at the same time, explore the endless creativity the latest digital technology has to offer. Since creating the world’s first touch-sensitive electronic piano in 1974, Roland has continued in it role as the leader in digital piano innovation – and the new GP609 embodies advanced technology and know-how that will carry your music to new heights. *This value was measured according to the method that is based on Roland’s technical standard.